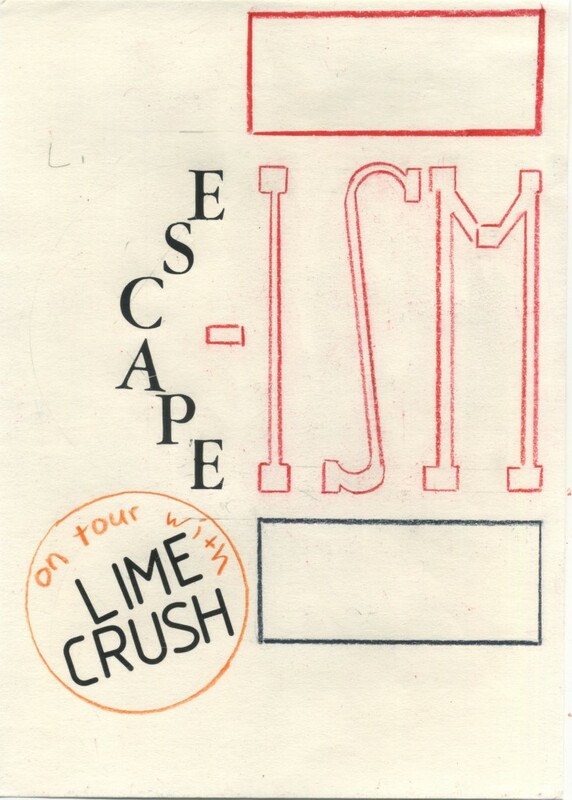 Lime Crush will be on a short journey with Escape-Ism. Lime Crush - Sub Divide (Fettkakao). 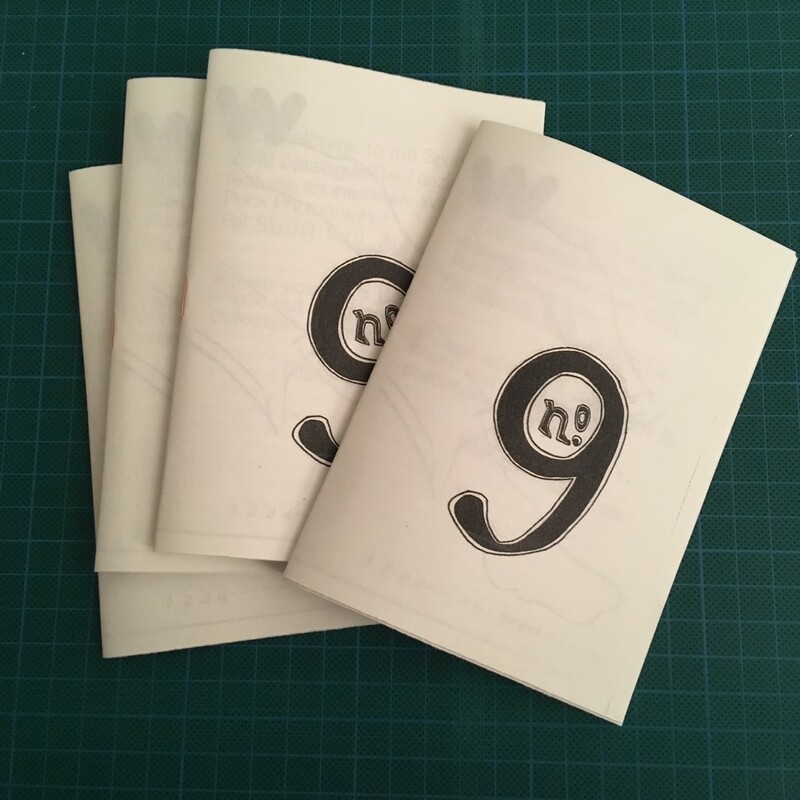 Fanzine Catalogue Number Nine is Available now! The March 2019 issue includes an Interview with Photographer Pat Blashill about Punk in Austin, Texas in the 198os and Photography. The Fanzine is for free. I will include a copy to every order placed and bring some to shows happening around Vienna. Iv/An has a new 7″ out with the songs Sloboda Kretanja (The freedom of movement) on one side and Umorna Lica (Tired faces) on the flip. 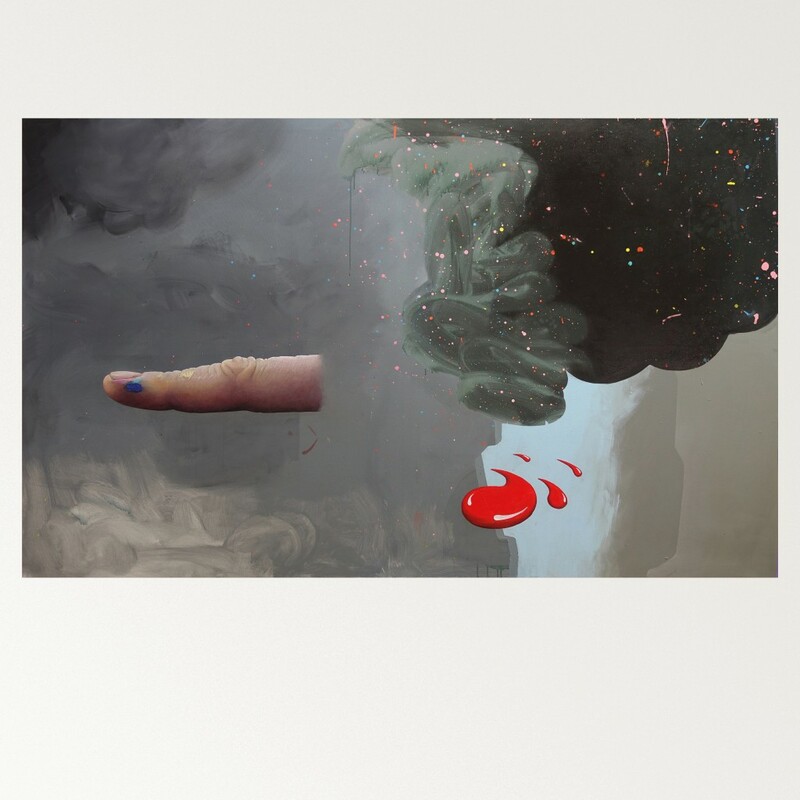 It is Iv/An’s 2nd release, a follow up to Zlatni Rez / Ovozemaljske Stvari (2017, fett044) on Fettkakao; again with a kolaž by Artist Franz Falckenhaus. The 7″ is now available via Bandcamp. From Febuary 12th on you’ll find the records in stores too. The Single will be presented on the 8th Birthday of Nil Desperandum at Rhiz in Vienna, March 20th, 2019! La Sabotage’s Debut Album Fest (fett047) will be out on the 23rd of November 2018. The Trio is going to present the Record on a late fall trip through Germany and Austria; please check out their Tour Dates below. Fest is available on Vinyl as well as Digitally, you can purchase it online via Bandcamp. 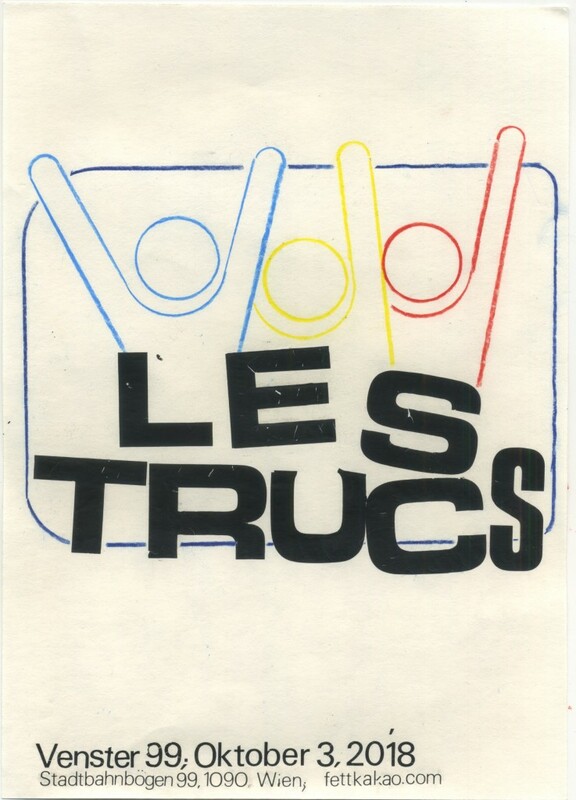 Les Trucs live in Vienna & on Tour! 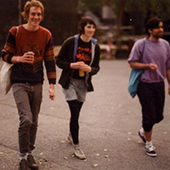 Friends from Frankfurt, Les Trucs, who have released music via Fettkakao in the past, will be visiting Vienna in Oktober again. 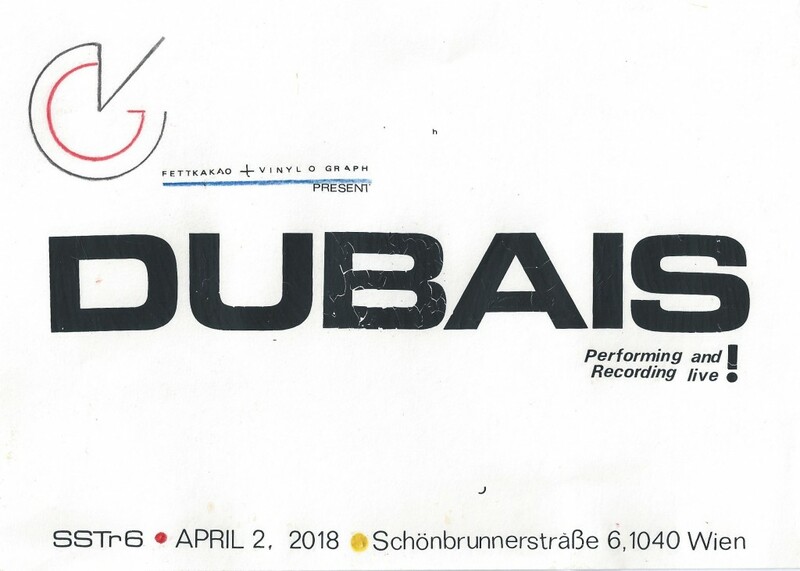 The Duo has a new record out called Jardin du Bœuf on Zeitstrafe – and are touring with this very fine Product! Lime Crush Debut LP Sub Divide is out now! 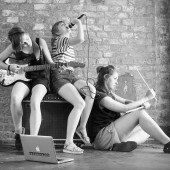 You can get the LP via Bandcamp or by writing (andi) an email. Stream-able via Spotify etc. Cover Painting by Ashley Hans Scheirl! ’Offshore Creativity’ Acrylic and oil on canvas/Acryl und Öl auf Leinwand, 200 cm x 125cm, 2016. courtesy Galerie Loevenbruck Paris; part of the ‘Rogue Economics’ series. 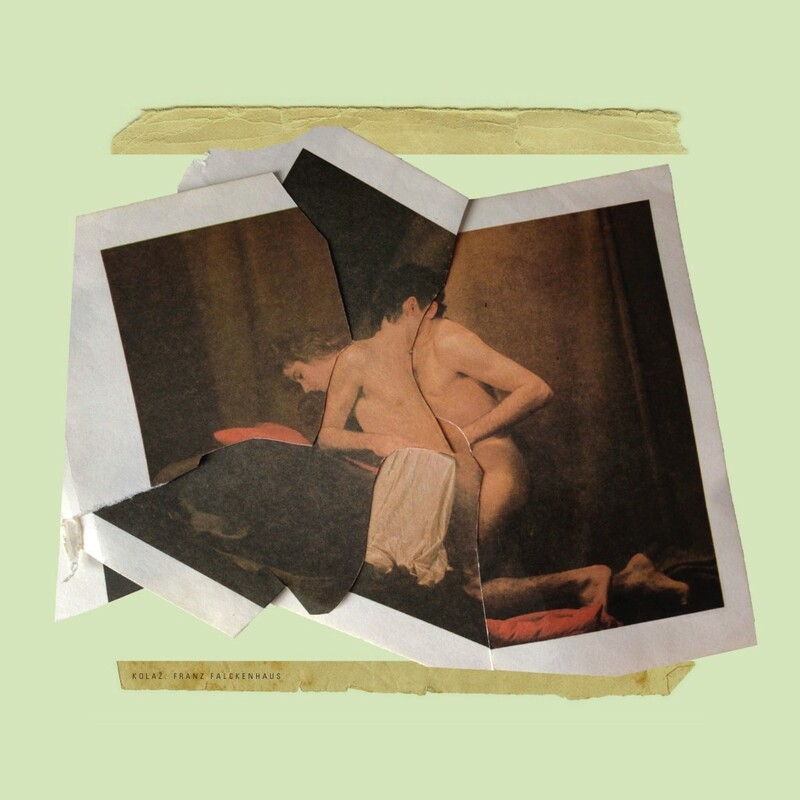 Selector Dub Narcotic from Olympia, WA – visits Vienna with a new 7″ called Bounce It Out (Bounce It On Out), releasead via K ! 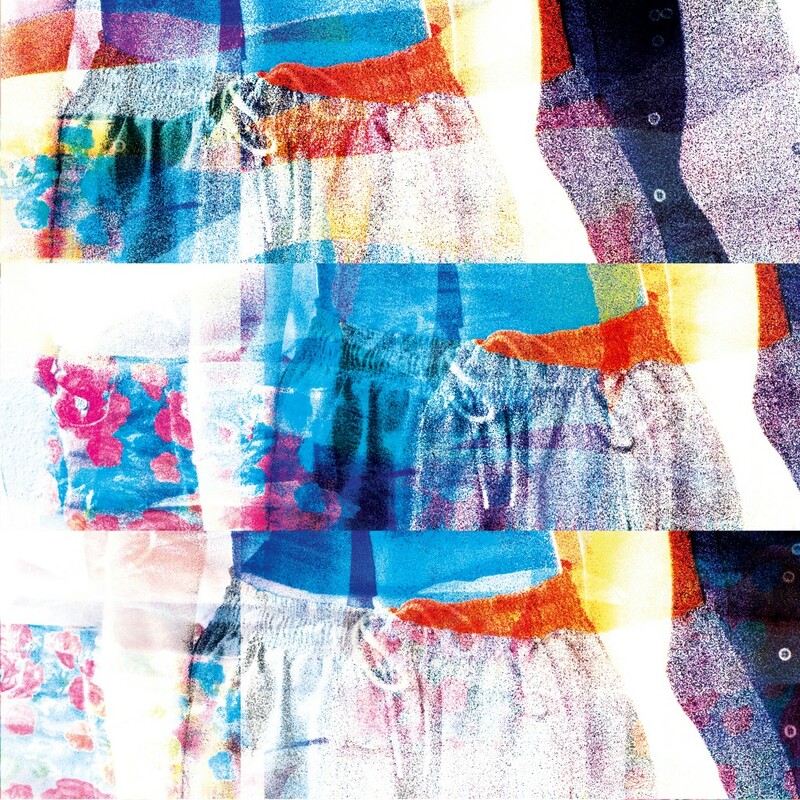 Lime Crush present their Debut Album Sub Divide (fett046), which will be out July 13th. 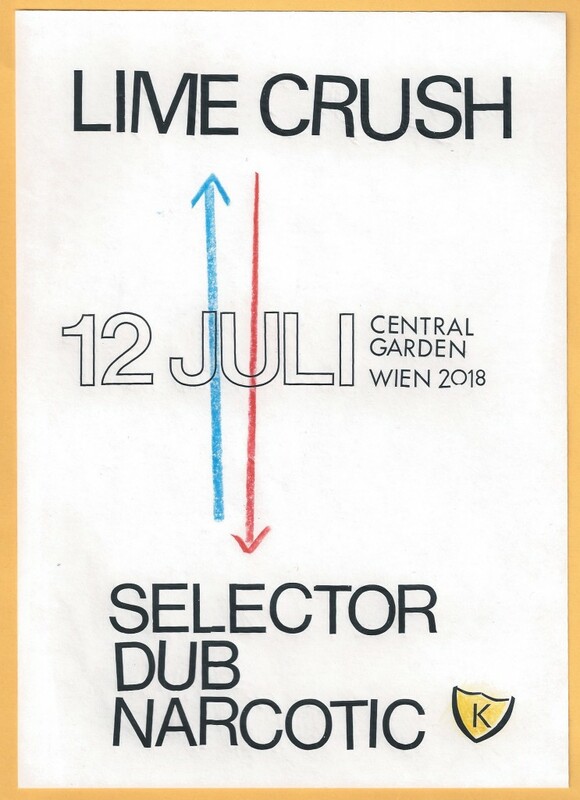 The performances take place July 12th, 2018 at the Central Garden, right next to the Danube. Starting at 7PM, since the shows have to be over by 9. Don’t be late! 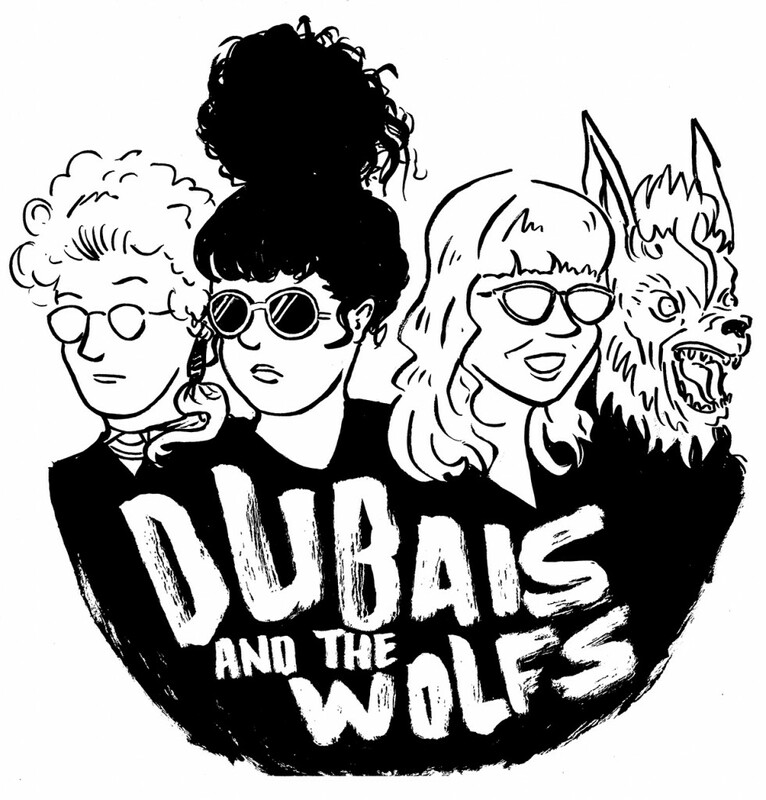 New 7″ out now by Dubais And The Wolfs ! 2 Smash Hits: Dummy and Blowhard – available digitally or on limited edition Vinyl - cut and duplicated with the Vinylograph at Schönbrunner Straße 6. O N T O U R! 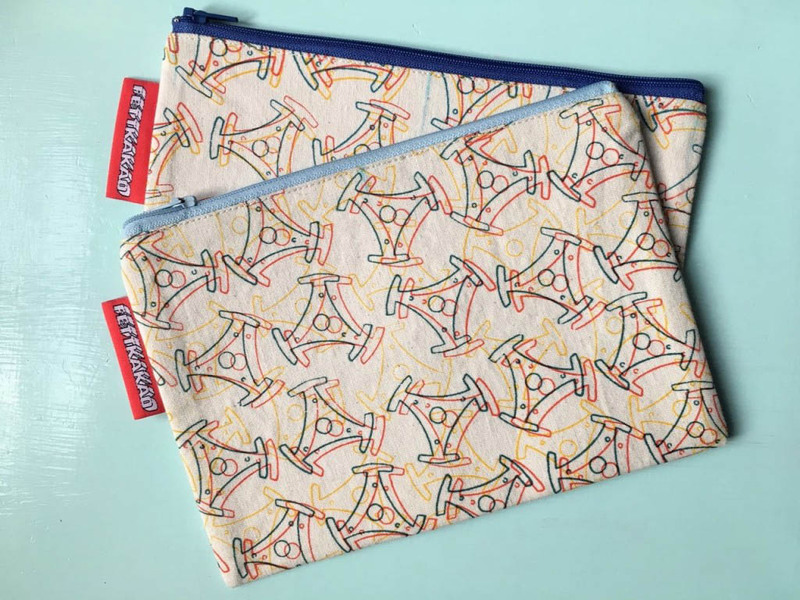 two new designs avaiblable now via the ART page: handprinted – and tailored zip bags as well as table cloth’es. its a 3 colour print, sometimes, unintentionally, appears as a 3d design. the zippers of the bag vary in colour.